Some days are busier than others at work. We spent last Friday in Branch County on an assignment but most of the day was spent sitting in the car waiting. I had parked near I-69 in the Big Lots parking lot while we were waiting for a phone call. We sat there for about a half hour or so before I realized that I could make better use of the time and get something to eat while we had some down time. The area around I-69 in Coldwater has a lot of fast food options. You should know me better than that. Fast food is no fun when there are other options. I chose to head back down Willowbrook Road to a small strip mall with a Goodwill and a couple of shops. 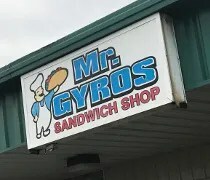 One of those storefronts is Mr. Gyros. 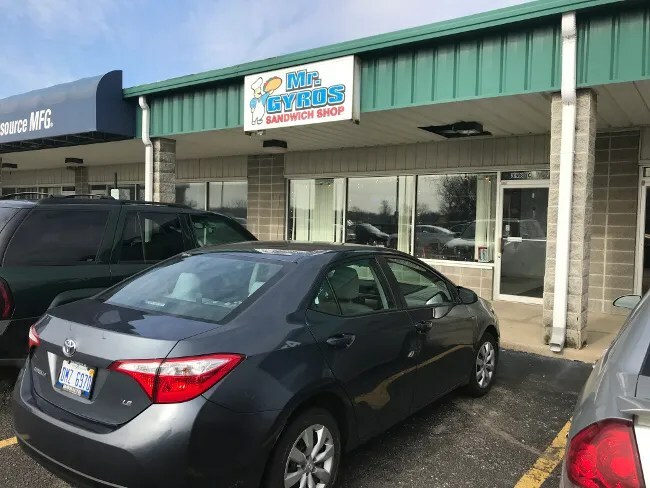 Mr. Gyros is on Willowbrook Road north of Chicago Road and the I-69 interchange. The restaurant is in a metal and cinder block building that holds three smaller storefronts and a larger space for Goodwill. 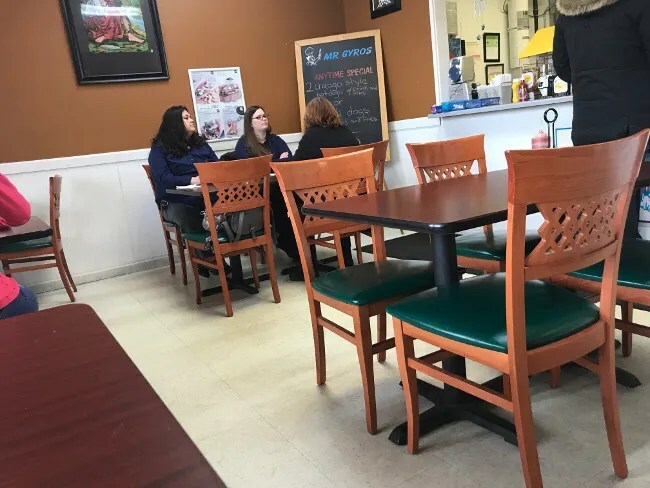 It’s a small space with about a half dozen tables on a neutral tile floor. Wood chairs with green leather seat cushions surround the tables in the small space. The menu is on a large board hanging vertically on the wall next to the order window. The menu is mostly sandwiches with what I call typical Chicago food. Gyros, hot dogs, and Italian beef. That’s just a small portion of the menu which also includes burgers and chicken. I knew when I walked in and saw it on the board I was going to order the Italian beef. I did so as a combo which came with fries and a Pepsi for just under $10. It took a little over ten minutes for our food to be put in to the little red plastic baskets and thrown up on the counter for us to grab. The Italian beef was an Italian beef pretty much in name only. 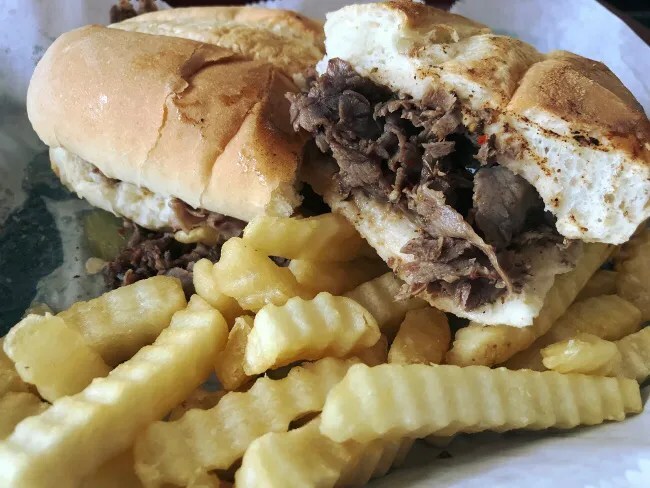 It had some characteristics of a Chicago-style Italian beef….it was thinly sliced beef that had been sitting in a beef gravy but the bread was sliced in two and toasted plus they wanted to serve it with onions and mozzarella cheese. I asked to leave both of those off and just went with the hot giardiniera which was in the right ballpark for an Italian beef topping but there wasn’t much there. The fries were simple crinkle cut fries. Nothing special but nothing to dismiss either. Mr. Gyros is good for what it is. It’s a quick, cheap meal that is tasty, but isn’t going to knock your socks off. Not much, if anything, is prepared from scratch. There are shops like this all over big cities and that’s not a bad thing. Sometimes you just want quick, cheap, and safe. That’s what you get with Mr. Gyros. I’ve never even had the Italian Beef there I guess. The real draw is the huge gyros bursting with meat, and then what I call the “fair food” that you can’t get in town once the fair is gone and the drive-in root beer stand closes for the season (things like the polish sausage and some of the other fried things). I know in a town with seemingly 43 billion pizza places, a couple Chinese, and 2 or 3 Mexican joints, it’s nice to have something else available. 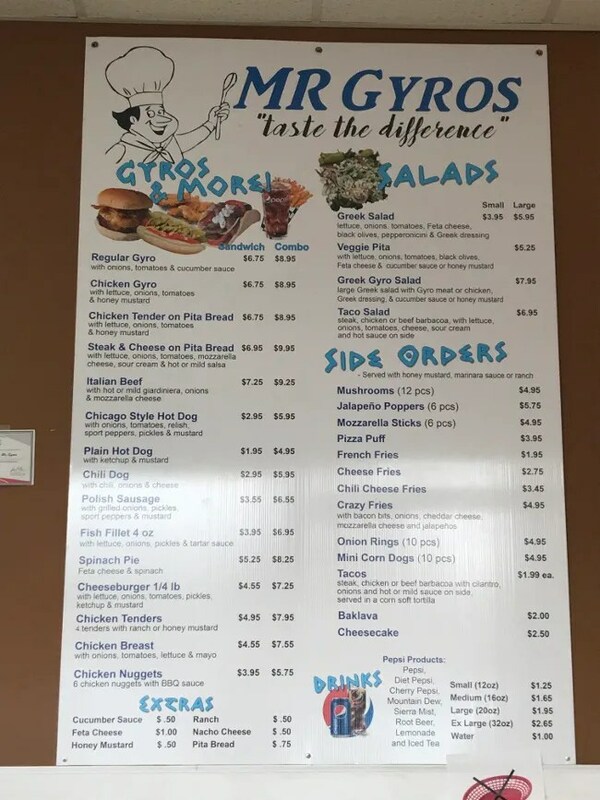 I’m not a big gyro guy. I believe the co-worker I was with that day ordered one…honestly don’t remember now. But I agree that variety is important. I like this walk up sandwich places the best. They don’t have to knock my socks off to keep me coming back as long as they do what they do good.